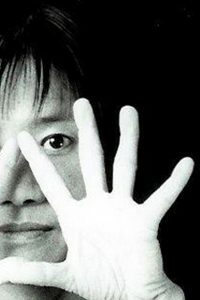 Nobuho Nagasawa was educated in Europe and Japan, and received her MFA at Hochschule der Künste in Berlin. Her invitation to the United States came from California Institute of the Arts, where she studied art, critical theory, and music. She is an interdisciplinary artist whose site-specific works explore the places, politics, ecology, and psychological dimensions of space and people. She is interested in socially interactive sculpture, exploring concepts concerning society, culture and politics and the potential for art. Her work involves in-depth research into the cultural history and memory, and extensive community participation. 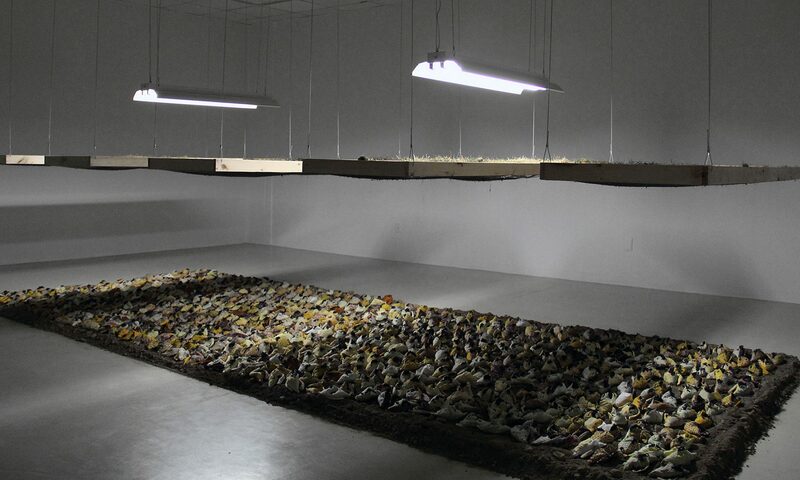 Much of her work expresses her long-term interest in the environment, ecology, and sustainability. She was an Associate Professor at University of California Santa Cruz prior to joining the faculty at Stony Brook in 2001. Nagasawa’s international exhibition record includes; the Royal Garden of the Prague Castle (Czech Republic), Ludwig Museums (Germany, Hungary), Rufino Tamayo Museum (Mexico), Alexandria Library (Egypt), the Getty Center for the History of Art and Humanities (US) and galleries and museums in the Middle East and Asia. She has been a representative of international Biennials and Triennials; Asian Art Biennial (Bangladesh, 2002), International Art Biennial (Egypt, 2002, 2004, 2005), Sharjah Biennial (United Arab Emirates, 2003), Echigo-Tsumari Triennial (Japan, 2003), Sinop Biennial (Turkey, 2006), Fukushima Biennial (2012) and Setouchi International Arts Festival (2013). She is a recipient of numerous grants and fellowships including DAAD (German Academic Exchange Service), Berlin State Grant, Rockefeller Grant, California Arts Council Fellowships Award, Brody Arts Fund, and several Japan Foundation Grants. In New York, she was a recipient of the Marie Walsh Sharpe Foundation’s Space Program, and Established Artist Fellowships. In the field of public art, Nagasawa completed more than thirty public art and intervention projects with successful interdisciplinary collaborations with architects and engineers internationally. They include civic projects such as city halls, government plazas, research laboratories, libraries, greenways, and transportation infrastructure. They range in scale from a 3000-foot long state highway retaining wall and large sculptures integrated within the architecture and landscape, to human-scale projects. She received several awards including a Design Excellence Award for Architecture and Public Art (Los Angeles, 1997), Art Commission Awards for Excellence in Design (New York, 2006), Design category Merit Award, and Design Excellence Award (San Francisco, 2008 and 2009). Her Austin City Hall and Public Plaza project with architect Antoine Predock was featured as one of the best projects nationwide in the Public Art Review in 2005. Her works has been published in books including: Japanese Art After 1945: Scream Japanese Against the Sky (Alexandra Munroe, 1994), Lure of the Local: Senses of Place in a Multicentered Society (Lucy Lippard, 1997), Epicenter: San Francisco Bay Area Art Now (Mark Johnstone, Leslie Aboud Holzman, 2002), and Art after the Bomb: Iconographies of Trauma in Late Modern Art (Darrell Davisson, 2008), and reviewed in Art in America, Art Asia Pacific, Sculpture, The Los Angeles Times, San Francisco Chronicle, Pittsburgh Tribune-Review, and The New York Times by Holland Cotter. Nagasawa has maintained a balance between producing temporary installations and permanent public art throughout her career, creating a body of work that includes large-scale site-specific installations and architectural interventions as well as intimate studio works. In the last decade she has expanded her interest in materials and their sensory properties, in natural phenomena, and human perception. Using light along with the sound of waves, variations in wind speed, the songs of birds, or a human heartbeat as mediums for communication, she involves people in a perceptual experience by creating new environments. Her installations are always personal, driven by her desire to engage with people and with the poetry of the space. In New York, Nagasawa completed a Greenway project along a waterfront bike path in 2012. This project received Art Commission Awards for Excellence in Design by the City of New York Board of Cultural Affairs Commissioners, presented by Mayor Michael Bloomberg in 2006. Her work for John Jay College for Criminal Justice near Lincoln Center (2013) is a permanent installation located in the main entrance lobby of the facility. The suspended sculpture of light, created with woven strands of optical fiber, physically and metaphorically emulates a cascading waterfall within the expansive architectural space, symbolizing the “transparency of justice.” The pulsating and oscillating hues of blue light, cascading up and down the length of the fiber tapestry are synchronized with the voice of Dr. Martin Luther King Jr., in his 1963 speech, to create a “mighty stream”, provoking both a historical and current perspective on social justice.